Fernando Torres’ first game back at Atletico Madrid ended in victory, securing a 2-0 Copa Del Rey win over rivals Real Madrid. Having completed his return to the Vicente Calderon from Chelsea, via a loan move from AC Milan, Torres was handed a place in the starting line-up by Diego Simeone, with seven changes made to the team that beat Levante on Saturday. Cristiano Ronaldo missed out for Real Madrid, only making the bench as he struggled with a minor knee injury, with Keylor Navas given the nod in goal as Carlo Ancelotti fielded a strong selection. And Real came close to taking the lead within the opening two minutes, when Jan Oblak was required to make a close range save from Sergio Ramos to deny the defender from finding the net with a powerful header. Atletico grew into the game after a strong start by the visitors but had to wait until the second half for the breakthrough, with Ramos conceding a penalty for hauling Garcia to the ground inside the area. The forward brushed himself off and converted from 12 yards, despite Navas diving the right way. Ronaldo was introduced as Real Madrid chased the game, but Atletico soon gave themselves a 2-0 lead to take into the second leg at the Santiago Bernabeu. Gimenez climbed highest from a corner kick to head into the far corner with a well-directed effort, giving Navas no chance. 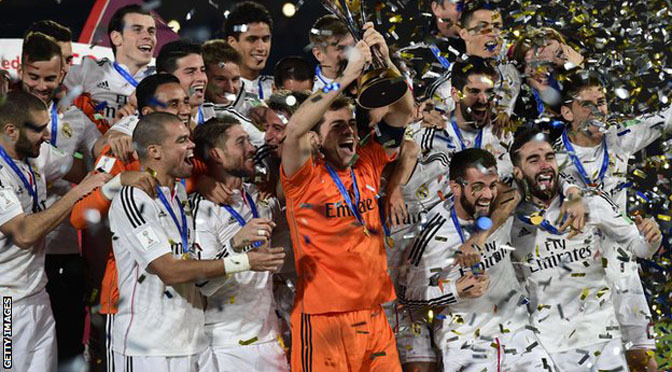 Real Madrid won their fourth trophy of 2014 by defeating Argentina’s South American champions San Lorenzo in the Club World Cup final in Morocco. The Champions League, Copa del Rey and European Super Cup holders took the lead through a Sergio Ramos header. A goalkeeping error allowed Gareth Bale to add a second when the Welshman’s shot squirmed under Sebastian Torrico. 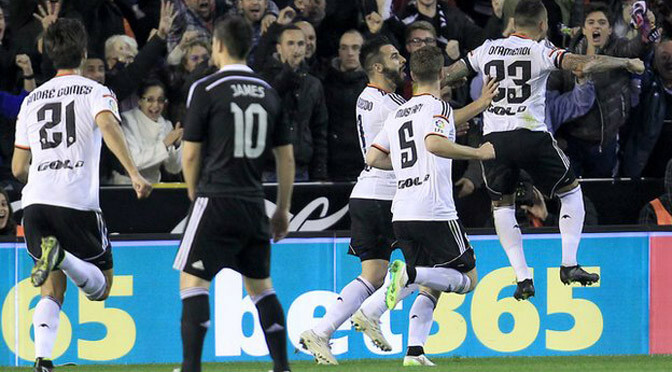 Real were rarely troubled and extended their Spanish record with a 22nd consecutive win in all competitions. The victory also provided the Bernabeu outfit with their first win in the competition in its current guise, although they won its predecessor – the Intercontinental Cup – three times. Manager Carlo Ancelotti had signalled Real’s intent at capturing another piece of silverware by sending out a strong line-up including the likes of Cristiano Ronaldo, Bale, James Rodriguez and Karim Benzema. However, while the Spanish side were initially frustrated by defence-minded Argentine opponents, Ramos made the breakthrough for Real. A swift counter-attack led by Benzema ended in a Bale shot being parried wide by keeper Torrico and, from the resulting corner, Ramos nodded in a Toni Kroos delivery. The emphasis was on San Lorenzo to take the initiative in search of a leveller but, instead, coach Edgardo Bauza’s side fell further behind after a goalkeeping error. Real Madrid midfielders Kroos and Isco expertly dictated play and when the latter found Bale his shot went under the body of Torrico. San Lorenzo, like other South American sides, place a high degree of importance on the Club World Cup but they struggled to make any impact on the match as they were outplayed and outclassed in Marrakech. Iker Casillas – making his 700th appearance for Real – had one of his quieter games, but he did have to get down low to save an Emmanuel Mas left-foot shot and parry a late Juan Mercier strike as his side comfortably closed out the win. 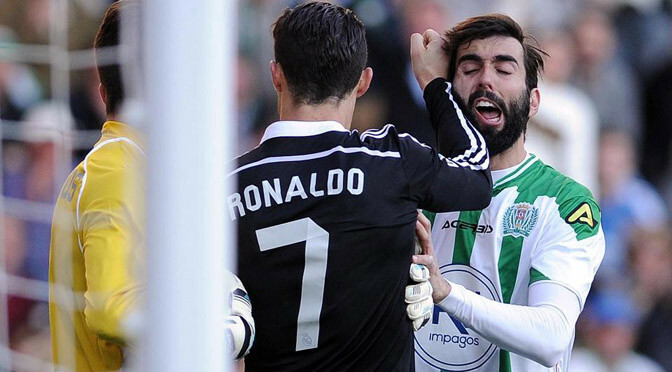 They did not even need talisman Ronaldo to shine as the Portuguese struggled to impose himself, with his closest effort coming with a header straight at Torrico. Earlier, Auckland City from New Zealand won the third-place play-off after beating Mexican side Cruz Azul on penalties after a 1-1 draw. Man City draw Barcelona in the last 16 of the Champions League for the second year in a row with Chelsea to face PSG and Arsenal get Monaco. 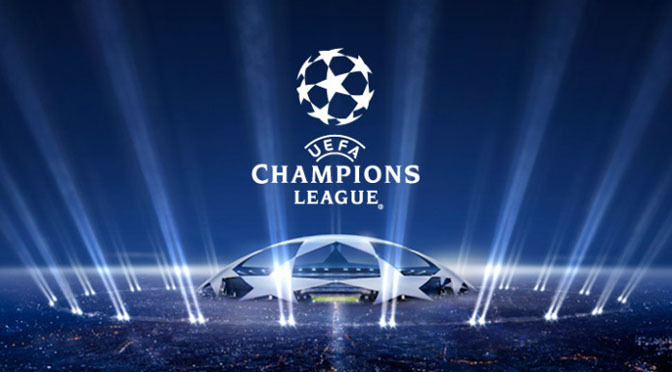 Arsenal will take on Monaco, while defending champions Real Madrid face Schalke with Bayern Munich drawn to play Shakhtar Donetsk. The first legs of the last 16 ties will take place on February 17/18 and 24/25, with the return matches on March 10/11 and 17/18. Chelsea, as a seeded group winner, will be away in the first leg with Arsenal and City at home, having finished as runners-up in their respective groups. Arsene Wenger had admitted before this morning’s draw in Nyon, Switzerland, that he was hoping to face Monaco, whom Arsenal have never played before and where Wenger was in charge between 1987 and 1994, winning the Ligue 1 title and the Coupe de France. “I don’t think many people want Real Madrid,” he said. “I don’t want Bayern Munich and I am sure they don’t want us as well. I am not against Monaco. “I have great memories from my time there. They gave me a chance when I was a very young manager. When I arrived they had never passed the first round in the European Cup; we had good times.